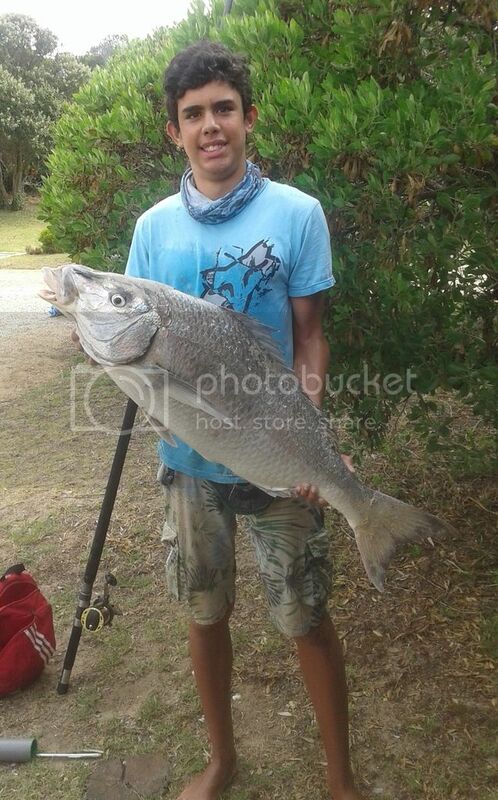 11.5 Kg White Steenbras caught off a stretch of beach near Kleinmond WC. I'm sure it put up quite a fight ? Happy grilling and well done to the young one. Well done! If possible please share what was used etc. Awesome fish! Well done to your son. What bait and setup on the rod? Nice steenie! They taste AWESOME! Nice size. Enjoy the meals.